Hue (Huế), the ancient capital of Vietnam, has more tourist attractions that any other province or city in Vietnam (Việt Nam). 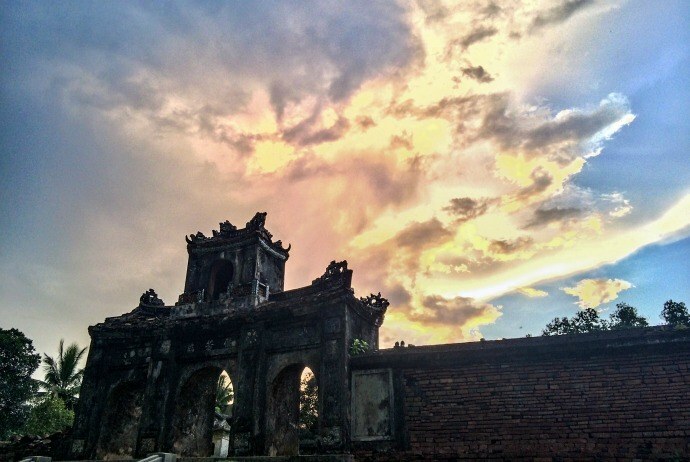 More than most other places, Hue is about how you travel rather than how many sights you visit. Situated on the banks of the Huong River (Sông Hương – Perfume River), Hue is home to a series of war-torn temples, places of worship, and tombs and palaces. Many of structures and buildings in Hue are quite ruined, giving it the feeling of a modern-day Pompeii, despite of mass tourism. If you are going to visit Hue, make sure that you do not miss out this list of things to do in Hue. The following checklist contains highly recommended things to do in Hue which are reported by experienced tourists. Let’s start discovering what your favorite choices will be! Peacefully lying on the northern shore of Huong River, it just takes 15 minutes to walk from the hostel of Hue Backpackers to reach the forbidden city of Hue. 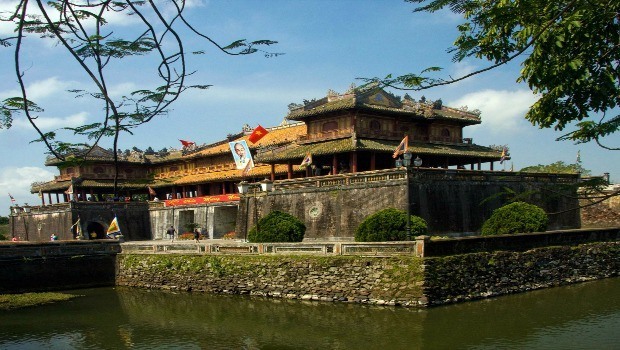 Like many other historic sites of Hue, the Citadel attracts a large number of tourists. During the early years of the communist rule in Vietnam, after the finish of the American War, this Citadel was ignored and seen as redundant vestige of the imperial rule. However, over years, the government of Vietnam has correctly valuated the value of this old city and slowly fixed it up. If you want to understand the full importance and value of this historic site, it is better for you to have a tour guide, who is knowledgeable, can speak English well, and have lots of experience. If you choose a licensed tour guide, they should be able to visit this site without paying for themselves, and should give an informative tour. When visiting the Citadel, not only will you be able to contemplate different scenes, but also get a photo of yourself in royal costume setting on the throne of the Emperor. There are 7 tombs scattering around Hue. 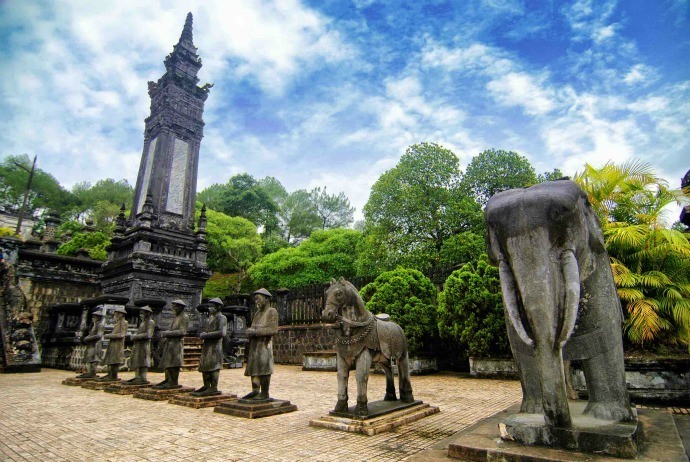 They are monuments to some rules of Nguyen Dynasty, often established and designed during the lifetime of the emperor. The most visited tombs are Minh Mang (Minh Mạng), Khai Dinh (Khải Định) and Tu Duc (Tự Đức). The left 4 are less visited yet still have distinguished features, with Thanh Thai (Thành Thái), Duc Duc (Dục Đức), and Duy Tan (Duy Tân) being housed in the single tomb. 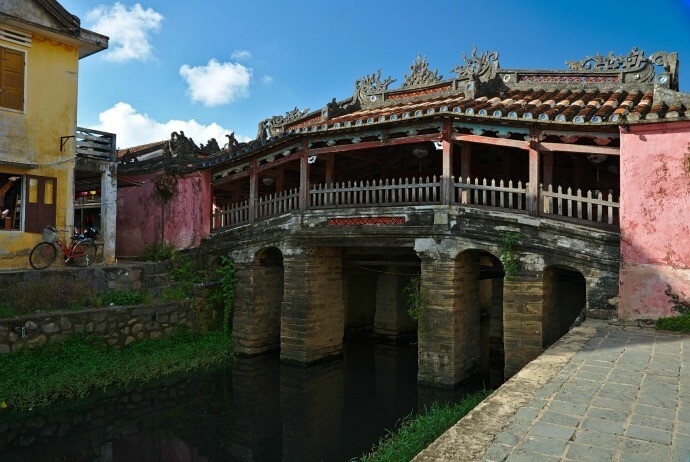 Due to the resemblance of this bridge to another small wooden bridge in the nearby area – Hoi An, it is named Japanese bridge. The construction was established in order to offer better transportation and communication for the village lining either side of the canal. 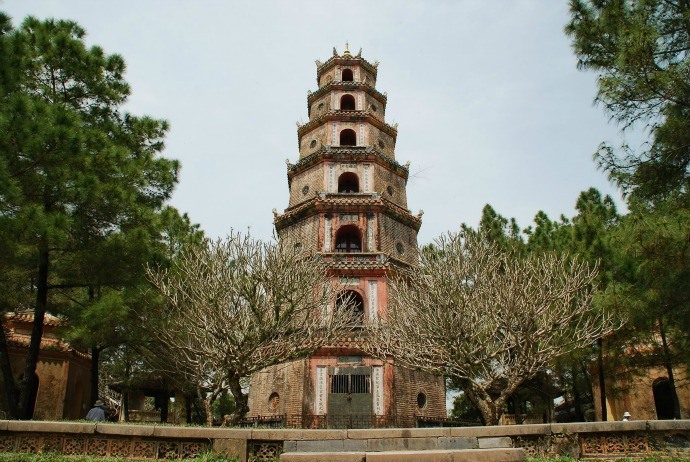 In the past, the Emperor Khai Dinh (Khải Định) requested the villagers to erect and altar dedicated to Tran Thi Dao (Trần Thị Đạo), who initiated this construction and was the wife of the superior Mandarin in the court of Le Hien Tong (Lê Hiển Tông) Emperor. Japanese bridge is well-known for the elaborate decorations, which could be seen at the low entrance. This place could not be neglected for those who want to take pictures, with an amazing red faded color and a charming historical background. Now, many local people still travel to Hue to visit this tomb. If you walk through the bridge, you can see a building on the left side that houses an odd collection of the ancient farm equipment. It is free to you to take a fast wander around there. You will find that riding to the bridge by bike or motorbike is much more interesting than even the bridge itself. This may be one of the most relaxing things to do in Hue. If you are keen on discovering Hue city via the traditional products, it is highly recommended to visit Dong Ba (Đông Ba) Market. Considered as the largest market place in the central area of Vietnam, Dong Ba market is a definite place to immerse yourself in the culture of people here. Once visiting here, tourists hardly get out soon as they are strongly absorbed by myriad items as well as local specialties. Tourists could see various features of a traditional Vietnamese market, like the bazaars, the bus station, the sampan landing. A variety of traditional crafts which reflect the ancient cultural features of Hue could be found here like Hien Luong (Hiền Lương) scissors, Phu Cam (Phú Cam) conical hats, Ke Mon (Kế Môn) jewelry, Phuoc Tich (Phước Tích) pottery, Nam Thuan (Nam Thuận) sweets, Tinh Tam (Tịnh Tâm) lotus, and bamboo products. In addition, Dong Ba market is an abundant source of many local daily dishes, for instance, beef noodles, bean puddings, shrimp cakes, pancakes, clam rice, sour shrimps and so on. Here, you will also see a lot of everyday activities and shop everything from souvenir items to Hue sesame sweetmeat, bronze goods, conical poem hats, etc. If you are really interest in Vietnamese culture and food, you should come here to explore. Despite a few new markets have emerged within Hue City, Dong Ba market still remains its crucial role as the biggest market where various commercial activities happening daily. One of the most interesting things to do in Hue is visiting Ho Quyen (Hổ Quyền), the tiger fighting arena. This site was established in 1830 during the regime of Emperor Minh Mang to stage battles between a tiger and an elephant annually. This is an Asian version of the Roman coliseum. It was used for entertaining the Emperor and his family and nobility. Sadly, today, it is overlooked by many tourists. The arena contains two circular, thick walls around an earthen rampart, with the stairs leading to the highest position of the wall, one being reserved for the Emperor as well as his family while the remaining for the rest of the court along with commoners. In opposite to the royal rostrum, there are five tiger cages with the claw marks visible in the walls. The fight was like a professional wrestling. Prior to the fight, the tiger was manipulated drugged, and had it fangs and claws removed. If the elephant sent into fight could not do the job, another one was sent to support. Then, the elephants always won. Why? The tiger was symbolized rebellion while the elephant was symbolized the monarchy. Another suggestion you can consider among many things to do in Hue is to visit Long Chau (Long Châu) temple, which is located on the south bank of the Huong River. This is a royal temple in which the kings’ war elephants were respectfully buried and worshiped. It is also known locally as “Dien Voi Re” (Điện Voi Ré), meaning the “Palace of the Crying Elephants”. This site is situated about 200 meters from the Ho Quyen arena, where tigers and elephants dueled to the death. The temple looks out over the big pond filled with lotus where it is said the triumphant elephant went to relax after having a successful fight. Up to now, the spot is not maintained well and needs to be conserved carefully. 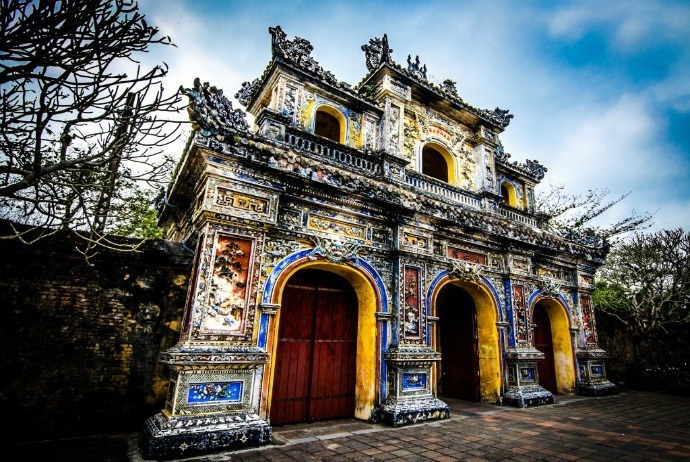 Ho Quyen arena and Long Chau temple are very much worth including in your list of things to do in Hue if you want to explore more historic aspects of the ancient city of Hue. Lying between Hue and Danang (Đà Nẵng), this recreation is still rather genuine and underdeveloped if being seen from the touristic point of view. 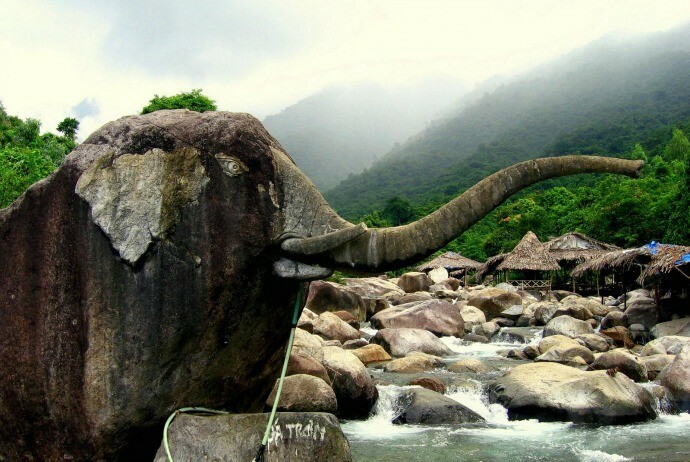 Located about 17 kilometers north of Hai Van pass, the Elephant Springs makes for a great break in your journey from Danang to Hue or vice versa. Large and small stones look like the elephants which are playing right in the middle of cool streams. Particularly, a big elephant stone locates next to a waterfall with water sprays continuously from its hose, creating an interesting scene. I bet that when standing within that circumstance, you will feel like you are standing right in the middle of the forest with different rare animals. Elephant Springs is approximately 500 meters in length and includes two separate areas. Tourists can soak and swim in the cool water or sit on the flat rocks while breathing the fresh air, or listening the sound of the pouring water, birds singing, wind flowing, et. Another idea, visitors could also hang on the roots of trees and swing themselves on it in order to find the thrills. Normally, if you want to enjoy yourself the whole place of Elephant Springs, it is recommended to visit this spot on weekdays. Weekends as well as holidays are highly jam-packed with local people and domestic tourists. The springs could be reached from a parking place after walking 5 minutes via the jungle. 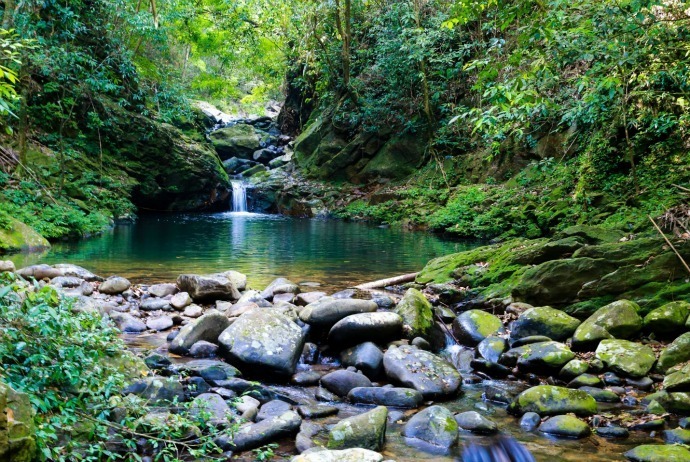 The area contains a number of great natural pools with cool and clear water, scattered by the huge boulders. Climbing on those boulders and swimming within the springs or simply relaxing on sitting mats, offered by local people will give you chances to visit such a still-undiscovered, lovely area. There are a lot of open-air, bamboo-floored restaurants lining the springs catering to you. Regarding things to do in Hue, relaxing at My An Hot Springs may be the most satisfying comfortable suggestion. The natural My An (Mỹ An) Hot Springs have been turned into an affordable resort-like region which abounds with local people. It is an ideal destination for tourists after a long trip to visit attractions in Hue. Located in Phu Duong (Phú Dương) commune, Phu Vang (Phú Vang) district, Hue, this spring is compared to the famous mineral spring water of the world like Paven Banis in Bulgaria, and Koundour in Russia. This resort includes 22 rooms, extending over 18 ha in total. My An Hot Springs offers therapeutic mineral water treatments, along with accommodation in large traditional houses. It takes 7 km of driving from Hue alongside. The spa complex is set back from the road includes a few ponds of hot mineral springs. It advertises itself as a perfect place for “convalescence” in the old European tradition of the spa cure. If possible, you should hit the park on Saturdays as it is adequately functional and full of guests for a more festive atmosphere. This is deserved to be an excellent place for tourists to revive. The hot springs are rather popular during the winter months. Despite the accommodation is decent, nothing is special here. This is one of little-known things to do in Hue for many tourists coming Hue. But, it is worth a try. From Tu Duc tomb, you can take a stop at the Brass Works. The outfit used here makes massive brass statuary for purchasers worldwide. The smiting and forging are done by using the fundamental techniques. 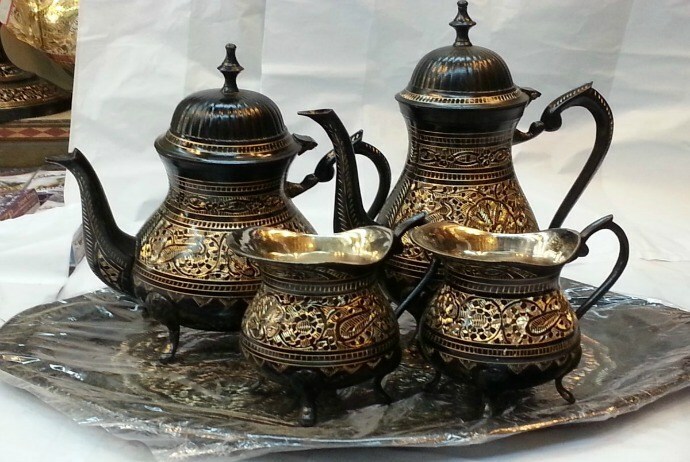 The craftsmanship is very impressive. About 14 km away from Hue city center, you can find Thuan An (Thuận An) beach, located in Phu Vang district. 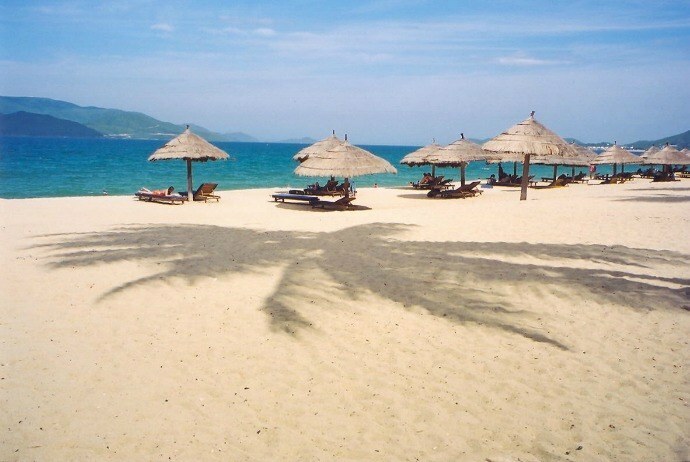 This is an extremely enjoyable beach for tourists after a long day of visiting Hue attractions. It is also a place where people can gather and enjoy the fresh air, sea-bathing, and relax. Though it is among the most beautiful beaches in the Central area of Vietnam, it is still ridiculously undeveloped. From May to September is the highest season of tourist here when Hue temperature is fairly hot. Sometimes, tourists are crowded and there is not enough space for their camping. In addition to sea bathing, you can also visit Thai Duong (Thái Dương) temple, where Thai Duong Godness is respected by tourists, or visit the temple this devoted to the whale, a sacred animal of locals. Love something wild and challenging? Don’t skip the suggestion below! This national park reaches the peak of about 1,450 meters at Bach Ma (Bạch Mã) Mountain. The French built more than a hundred villas here due to the cool climate. In 2008, the national park was extended, from the coast to the Annamite mountain range near the borderline with Laos. Having a wide array of habitats, this park is famous for its biodiversity. Even some people consider Bach Ma National Park as the centre of flora diversity of Vietnam. With over 1400 species of plants, including orchids and ferns discovered in Bach Ma, this national park proudly represents a fifth of the flora of Vietnam. Bach Ma summit provides a range of unique trails for people interested in the wildlife and history for people who wish to enjoy the wildest natural beauty of the park. Normally, each trail could be walked in less than one day and do not require special hiking equipments. This park houses two kinds of forest: tropical evergreen monsoon forest about below 900 meters and sub-tropical evergreen monsoon forest about above 900 meters. Featuring with beautiful waterfalls, decaying French villas spotting the whole landscape and hiking trails, the park itself attracts a large number of tourists annually to visit. When it comes to activities, Bach Ma will not let you bored. You can camp, rappel, trek, or wander through that jungle in order to explore the beauty of flora and fauna of Bach Ma. If you are a natural lover, you will find Bach Ma National Park is a real heaven on the ground. With approximately 358 species of birds, counting for over 1/3 of the bird species of Vietnam, Bach Ma will be worth adding to the bird-watching collection of tourists. It is recommended to visit this park on February as that is the time the famous Rhododendron simsii blossom along the small streams and also at the bottom of Rhododendron waterfall. The weather is also dry with comfortable temperature. Besides, if you want to escape from the heat of summer, you can visit Bach Ma National Park during June to August. Generally, this park is really a welcome and different break from the touristy Hue or Hoi An (Hội An) that tourists will most likely kick themselves for now letting more time here. Some tourists said that they ended up with spending two additional unplanned nights, and despite that may be too long for some people, they still loved every second of it and could not wait go to back. Maybe, Hue is the best city for cycling in Vietnam. Thanks to less traffic than those major cities and less-of-o-hurry local people, a lot of tourists chose to ride a bike along the banks of the Huong River, over the Truong Tien (Trường Tiền) Bridge and into the Citadel of 200 years old, pass by a series of aircrafts as well as tanks from the fierce but heroic American War before heading deeply into the city center where life carries on in motorbike repair shops, coffee shops, hairdressers, and clothes shops. If you are the one who loves to smell some fresh air, then the suburb surround Hue is a great idea. The central areas of Vietnam are known for their great lagoons, and Hue is not an exception. You just need to go a few kilometers outside of the city to reach the paddy fields, flower and vegetable farms, each with a separate village at the core. 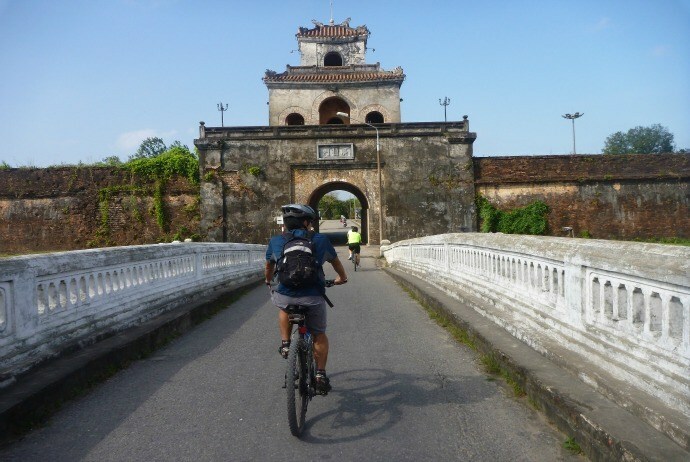 Or, another idea in this list of things to do in Hue is to join in a cycling tour where you can start to cycle from Danang along the nice coast road before climbing up to Hai Van (Hải Vân) pass. After that, you can carry on to cycle along the sea coast for another over 30 km of which 10km is downhill. Then, you stop for a quick lunch and take a rest before riding through the fields and peaceful villages to reach Hue city in the afternoon. 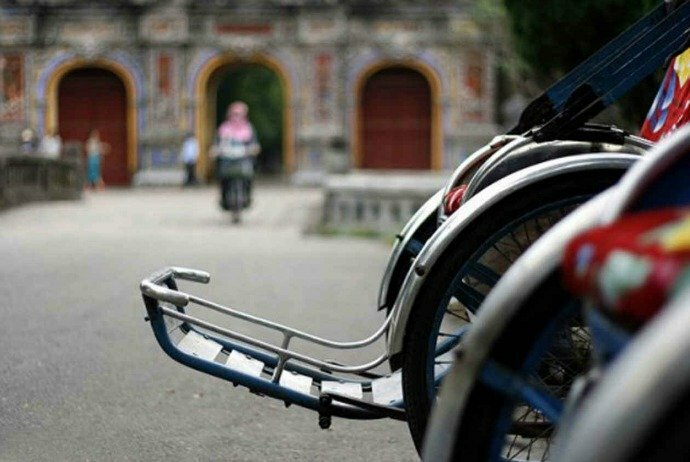 Cyclo is one of the interesting features of cities in Vietnam. Cyclos are abundant in Hue city and a ride in a cyclo is a chance for tourists to really experience how life was back before emergence of the modern vehicle. Just simply sit back and enjoy a relaxing trip through the quiet streets of the citadel and around the walls of the Imperial city. One of favorite activity of local people in Hue is to go fishing. You could see this activity everywhere from the ponds in royal tombs to the East Sea to the moat at the Citadel. Nevertheless, according to Vietnamese tradition, the best manner to enjoy this activity is to visit a certain fishing restaurants on the suburbs of Hue. There, you can come with some of your friends and occupy one of the huts along the sides of a pond in which you could catch and release those catfish whilst simultaneously sipping on ice-cold beer or coffee and having the local delicacies. A journey to Hue will not be complete if without a cruise on the Huong River. With two options of different styles of cruise that cater to all tastes, this idea of things to do in Hue is very interesting for most tourists. You could not walk along the bank of Huong River without paying attention to the dragon boats that putter past. The morning route could be hopping onto a small yet long dragon boat to start your sightseeing. In this route, Thien Mu (Thiên Mụ) pagoda is the first stop (taking about 25 minutes to reach), Minh Mang (Minh Mạng) mausoleum is the next (taking about 1 hour to reach). Along the way meandering up the river, you can see many fantastic views. Just simply rest back in the seat and feel the cool breeze blowing along the boat’s side. Another romantic idea is to enjoy a relaxing tradition large dragon boat cruise whilst comfortably sipping champagne in the late afternoon. From the harbor, you head towards the pagoda before turning around to have a cruise down the river under both the Phu Xuan (Phú Xuân) and Truong Tien Bridges. Before coming back to your hotel, you can still immerse yourself in a traditional custom of locals: lighting and releasing the candlelit lantern. Do you want to really experience the way that Nguyen Dynasty lived and contemplated feasting at royal banquets? If yes, then you should join in an Imperial Feast celebrated in the Royal Theatre within the Imperial city. Often organized for big groups who after that nominate the emperor and his wife, guests will arrive by cyclos and are exactly dressed as mandarins. When entering the theatre, guests will be seated in an elaborately designed dining hall, whilst royal music is played by the traditional royal band. After the chosen emperor and his Queen enter to sit at an elevated royal style table whilst the mandarins stand and respectfully bow. In the past, while the emperors were having dinner, they would be entertained by the mandarins with song, poetry, and dance. This activity is mirrored for the guest nowadays with musical performances and traditional dragon dance throughout the evening. The last suggestion below will definitely make your stomach “happy”. Trust me! You can easily find Bun Bo Hue in different restaurants here. This is a famous dish coming from Hue. 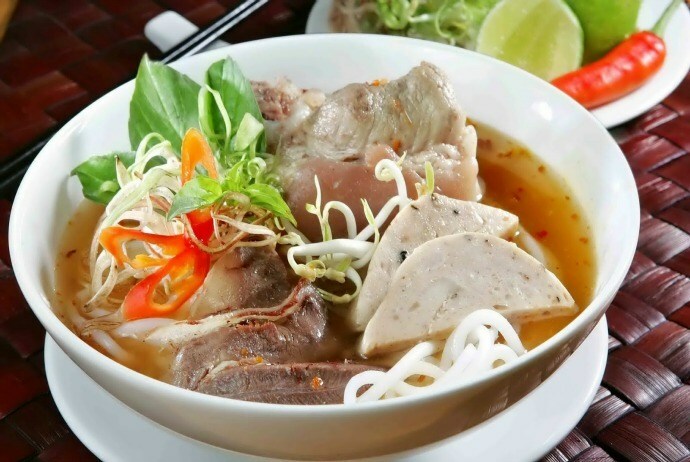 It is said that if one has not tasted Bun Bo Hue when visiting this ancient city, they are considered as not visiting Hue. Indeed, it is hard to deny the great taste of Bun Bo Hue if having a chance to try. This noodle soup is made from pork bones boiling slowly, noodle, along with a good combination of lemongrass, red annatto-see-colored oil, shrimp paste, chili and different spices. The bowl is a medley of pork knuckle, soft white noodles, beef slices, a vibrant spicy broth, veggies, and the texture of the blood of ducks. 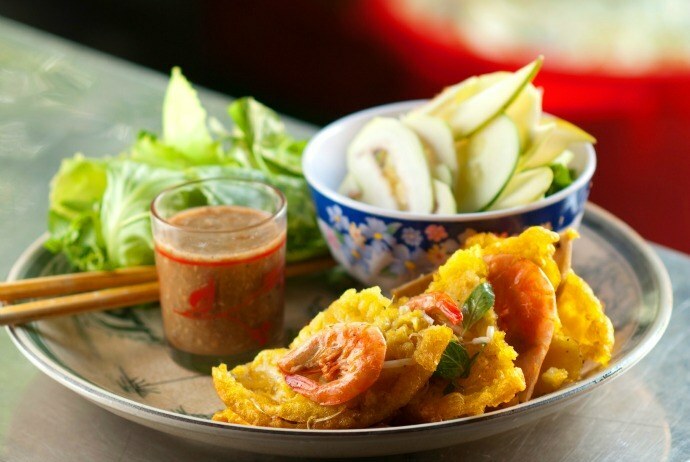 This is another famous dish you must try in Hue. This intricate but simple dish combines a lot of flavors from fried pork fat, onion, clams, cabbage, roasted peanuts, crunchy rice cracker, banana flower, chili pepper, start fruit, Vietnamese coriander (a.k.a rau ram), mint, rice and taro stems. These ingredients are perfectly combined together and served cold in a bowl, followed by the hot ginger clam broth with fermented shrimp paste. The final result is the balance of saltiness, sweetness, sourness and spiciness. A true traditional Com Hen has to be severed spicy. However, the fermented shrimp paste, one of the favorite dishes of Vietnamese people, has a strong smell so it takes time to get used to. Banh Beo (Bánh Bèo): it is a small sauce dish consisting of steamed rice flour which is topped with mung bean powder, ground shrimp, green onions, and a small piece of crispy pork fat. Banh loc (Bánh Lọc): it is a translucent rice flour patty including either green bean paste or a whole shrimp (containing shell, head, and tail) and presented in the figure of a mandarin segment. Banh Nam (Bánh Nậm): a rectangular, flat steamed rice flour bite which is wrapped within the banana leaf and then topped with grouped pork and shrimp. Banh Ram It (Bánh Ram Ít): This dish is made from sticky rice flour balls which are filled with shrimp and cubed or ground pork decorated with fried shallots and displayed on a base of the crunchy pork fat. The great thing about these dishes is their sauce. Each dish has its own sauce. Nuoc mam (nước mắm), the unique Vietnamese fish sauce might be hard to smell for those international tourists, yet it is a basic ingredient in most dishes in Vietnam and just by proper additions could give the desired results. Banh Nam and Banh Loc often go with fish sauce that contains just a few slices of red chilies and green. Banh Ram It (Bánh ram Ít) and Banh Beo (Bánh Bèo) are perfectly served with fish sauce that contains sugar, lemon juice, sugar, and shrimp paste – another awkward, distinctive smelling accompaniment which is an acquired taste. Tasting these Hue-style pancakes is another interesting suggestion in regard to things to do in Hue. They are both made from water / coconut milk, rice flour and turmeric powder filled with a few slices of the fatty pork plus with a de-shelled or whole shrimp along with bean sprouts before being pan-fried till getting crispy. You can see local people sometimes wrapping these pancakes in lettuce / mustard leaves and adding basil leaves or mint leaves for additional flavor. Banh Khoai is often served open-faced whilst Banh Xeo is beautifully folded into shape of half-moon like a taco or an omelette. They are accompanied by fermented soybean sauce. 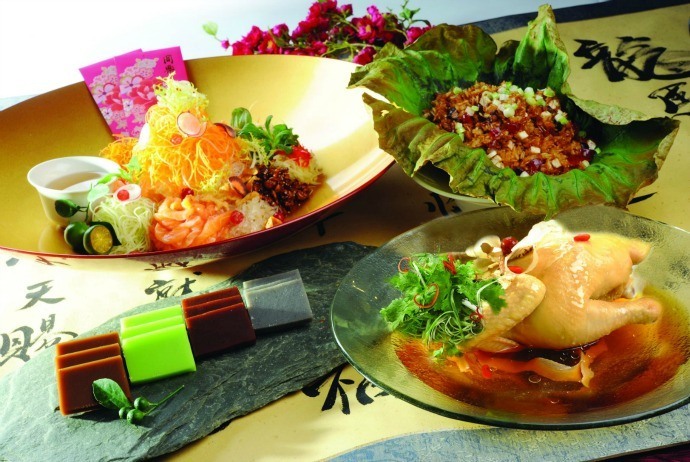 Because of the spicy sauce taste and its greasiness, these are reckoned as winter dishes. Known in English as “wet cakes grilled meat”, Banh Uot Thit Nuong is a great specialty of Hue. The wet rice paper is carefully wrapped in the roll, filled with grilled beef or pork and fresh herbs. The most important ingredient of this dish, again, is its sauce – a combination of Vietnamese fish sauce, freshly sliced chilies, lime juice and garlic. Being a sweet desert soup, Che Hue refers to the traditional beverage of Vietnam which tastes sweet. 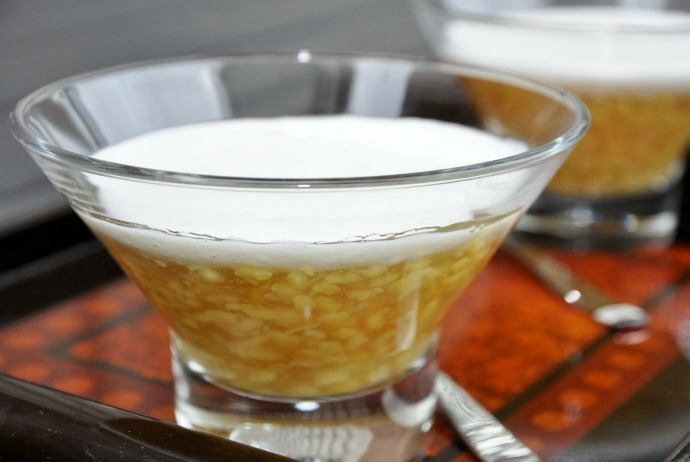 The dessert soup is made from different mung beans (green or yellow), black eyed peas, tapioca, red kidney beans, lotus seeds, aloe vera, sesame seeds, jelly, taro, fruits like longan, jackfruit, mango durian, and lychee. Though there are various versions of Che, each has the prefix of the word “Chè” and followed by a term or phrase describing the special ingredient of the dish. There are four noticeable types of Che that Hue locals are most proud of, which are Che with lotus seed tastefully wrapped within longan (Chè long nhãn bọc hạt sen), Chè with purple sweet patotoes (Chè khoai tía), Chè with floating sticky rice cakes plus with shrimp (Chè trôi nước nhân tôm thịt), and Chè with rice pastry and bean (Chè đậu ván bột lọc). Thanks to the development Internet, it is easy to book a tour to Hue, Vietnam and find the best attractions there. Here, we have just covered 17 out of the most interesting things to do in Hue for you to browse through. Whether you travel to Hue in summer, spring, winter or fall, we ensure that there are endless ideas for you to consider in this ancient town. Hope that this list has helped you find out some ideas for your upcoming journey to Vietnam and have fun! If you have any contributing ideas about this topic of “things to do in Hue”, feel free to drop your words below this post. We will feedback as soon as possible. 15 Things To Do In Da Nang City – What To Do In Da Nang?